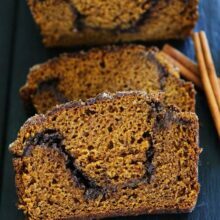 This is the BEST Pumpkin Bread recipe, it is moist, perfectly spiced, and easy to make. It will become one of your favorite fall recipes! Are you guys ready for pumpkin season? I sure hope so because today we are sharing the BEST Pumpkin Bread recipe. Pumpkin Bread is the first sign of fall at our house, I don’t wait for the leaves to change colors because I LOVE pumpkin and can never wait that long. When you smell pumpkin bread baking at our house, you know it is fall, and that is a very good thing! 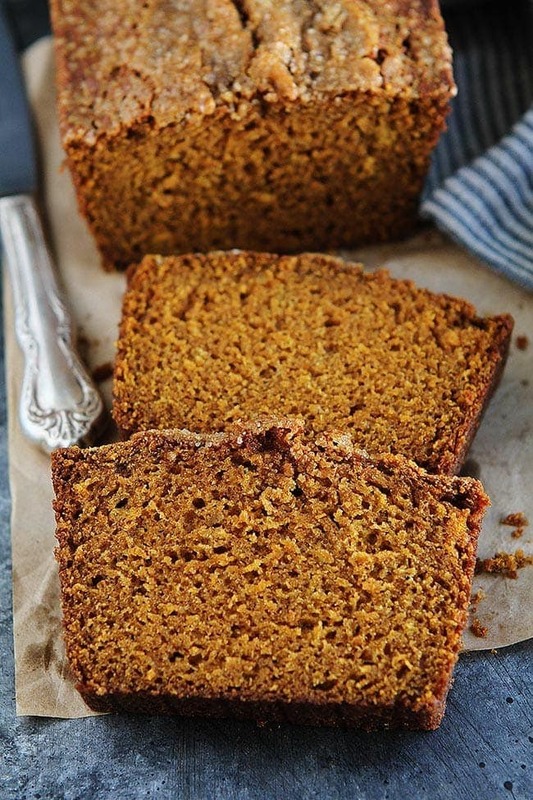 Fall is my favorite season and this pumpkin bread is my all-time favorite! It is a fall MUST! 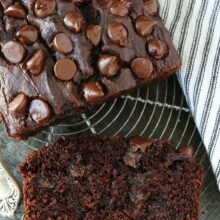 If you follow our blog, you know I LOVE baking quick breads, hello, banana bread, lemon zucchini bread, and chocolate banana bread…just a few of my favorites. 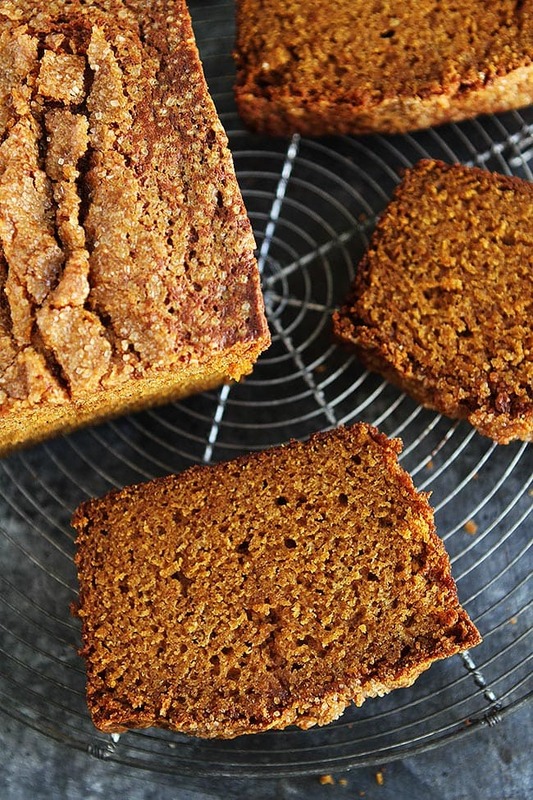 Well, pumpkin bread is right at the top of the list when it comes to quick breads. It is SO good! 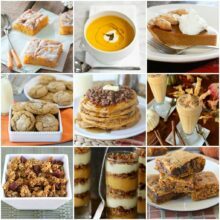 I love pumpkin everything and pumpkin bread is a fall classic. I have baked a lot of pumpkin bread in my life and I have to say that this pumpkin bread recipe is perfection! It is moist, full of pumpkin flavor, perfectly spiced, and easy to make. You are going to fall in love with this pumpkin bread recipe before it even goes in the oven…and when it comes out of the oven and you have a bite, you will be hooked for life! Use 100% pure pumpkin (pumpkin puree). Do not use pumpkin pie filling that has been sweetened. You can find canned pumpkin at any grocery store. It is usually in the baking aisle. Libby’s is a popular brand. 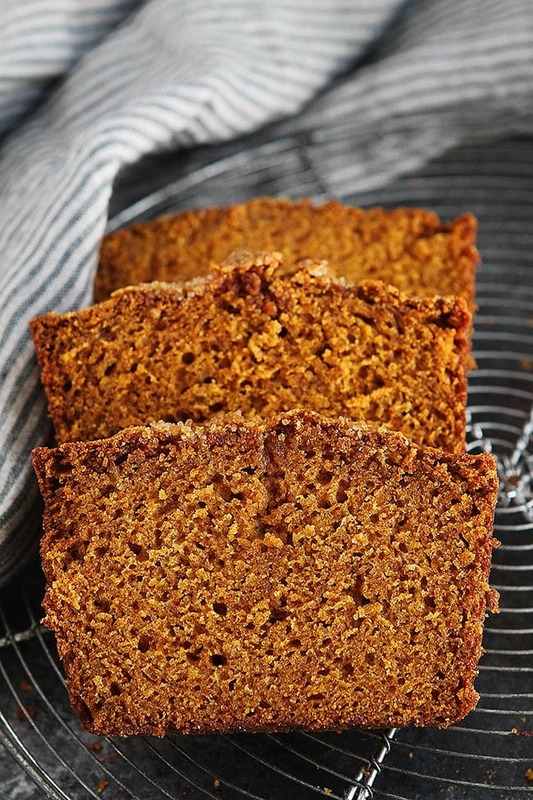 For this pumpkin bread recipe, you will need 1 cup, a 15 oz can will be enough. For this recipe, I use cinnamon, nutmeg, ginger, and cloves. They all come together to create the most amazing flavor. If you want to substitute pumpkin spice, you can, but I like using the individual spices because I think the flavors stand out more in the bread. If you are going to use pumpkin spice, use 1 tablespoon in place of the spices. I use mostly brown sugar and a little granulated sugar. The brown sugar adds a nice molasses flavor to the bread and keeps it super moist. Make sure the butter is melted and slightly cooled before adding it to the batter. I like using butter and oil because the butter adds a rich flavor and the oil keeps the bread moist. I add a little water to the bread to thin out the batter and to keep it moist. You can also use buttermilk if you wish! Don’t forget the pure vanilla extract. Vanilla makes everything better! Bake the bread in a greased 8 x 4 x 3 -inch loaf pan. The bread will take 45 to 60 minutes to bake, depending on your oven and pan. If it is your first time baking the bread, check it at 45 minutes to be safe. The bread is done when a toothpick inserted into the center comes out clean. If your bread is getting dark and the middle isn’t done you can always place a piece of aluminum foil loosely over the bread and finish baking it. Let the bread cool in the pan for 10 minutes and then carefully remove it from the pan and cool completely before slicing. Can You add Chocolate Chips? I know I am going to get this question, so I am going to answer it. Of course, you can add chocolate chips! Pumpkin chocolate chip bread is a THING. People go crazy for anything pumpkin chocolate chip (like these cookies) and I understand why, it is SO good! Pumpkin and chocolate are a match made in heaven. If you want to add chocolate chips, stir in 1 cup of semi-sweet or milk chocolate chips after you add the dry ingredients. You can also stir in a cup of chopped pecans, walnuts, dried cranberries, or raisins. I think this pumpkin bread is even better the second day. Sure, you have to enjoy a fresh slice of bread, but try to save some for the next day. All of the flavors set in and the bread gets even moister. It is worth the wait and a great recipe that you can make in advance for parties or breakfast the next day. YES! You are going to love this pumpkin bread recipe so much that I know you are going to want two loaves. One loaf for you and one loaf for a friend…or two loaves for you, I won’t tell anyone:) You can easily double this recipe. You will need two loaf pans. Bake both loaves at the same time, on the middle rack in the oven. You can also make mini loaves with this recipe or muffins, just reduce the baking time! Kick-off fall by making a loaf of this easy and delicious pumpkin bread! It is guaranteed to be a fall favorite! Your house will smell amazing and you will be in pumpkin bread heaven. 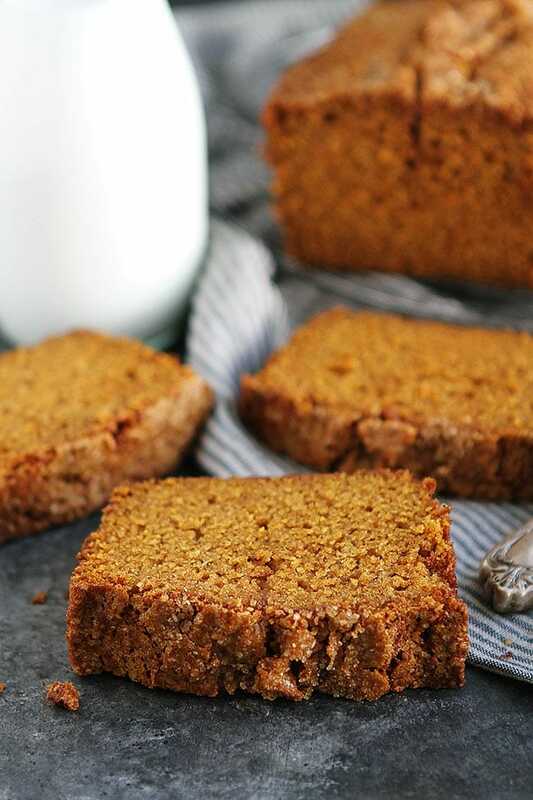 You can enjoy a slice of pumpkin bread for breakfast, as a snack, or even for dessert. It is a great bread for Halloween, Thanksgiving, fall parties, or EVERY day! ENJOY! This is the BEST pumpkin bread recipe! It is easy to make, super moist, and perfectly spiced. It will become a staple in your house every fall season. Preheat oven to 350 degrees F. Grease a 8 x 4 x 3 -inch loaf pan generously with nonstick cooking spray or butter. Set aside. In a medium bowl, whisk together the flour, baking soda, salt, cinnamon, nutmeg, ginger, and cloves. Set aside. In a large bowl, whisk together the pumpkin, brown sugar, sugar, eggs, melted butter, oil, water, and vanilla extract. Add the dry ingredients and stir until just combined. Don't over mix the batter. Pour the pumpkin batter into the prepared loaf pan and smooth with a spatula. Sprinkle generously with turbinado sugar. Place the loaf pan in the oven and bake for 45 to 60 minutes, depending on your oven. The loaf is done when a toothpick inserted into the center comes out clean. Remove the pan from the oven and place on a cooling rack. Cool for 10 minutes in the pan. Use a butter knife to loosen the bread in the pan. Turn over and carefully remove the bread from the pan. Let the bread cool completely on the cooling rack. When cool, slice with a serrated knife. I’ll take a slice…or two (let’s be real)! thank you, never sick of pumpkin flavors, I’m already in! Nice tips too! This bread looks amazing! I can’t wait to make a few loaves for our family this fall! It is a fall staple! Yes, you can use your favorite gluten-free all-purpose flour. I just made this pumpkin bread today and it was SO good! I added a half cup of chopped pecans. I’d definitely make this again 🙂 Thanks for posting. I am so glad you liked the pumpkin bread. It’s my favorite! Would love your best pumpkin pancake recipe!! We live this bread . . . And pancakes are only a 15 min wait. But the pumpkin is so heavy it makes things fall flat. What’s your best solution and recipe for a autumn breakfast with pumpkin to die for? Love pumpkin in any shape or form! This recipe looks like the balanced type of pumpkin bread and I am going to try it ASAP. Happy fall! I have this in the oven now! I’m always trying new pumpkin bread recipes and I know this will rank way up there…..it looks and smells so good. I made this pumpkin bread and it’s delicious! My kiddies loved it and my sons taking some to school for snack today! Glad you enjoyed it! What a special snack for school! That looks delicious. However, I don’t use nutmeg (too strong for me) in my cooking. Will the flavour change a lot if I choose not to use it? Pumpkin flavors usually have nutmeg. If you don’t like it, you can leave it out and use more cinnamon and/or ginger. This was awesome!!!! 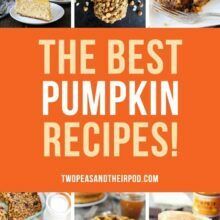 My kids and family are obsessed with pumpkin…this was a no fail recipe! Sometimes with brads it can be tricky but this was easy and amazingly delicious… My son said it’s like pumpkin pie only a bread! Just wondering if I would be able to make this vegan? I make mine vegan because of food allergies in my family. I sub out the butter for Earth Balance Buttery sticks (they have regular and soy-free), and I used 1/2 c. applesauce for the eggs. I had to cook it a little longer because it was very moist, but it really depends on your oven. You can also use aquafaba (chickpea brine — about 1/3 cup), flax eggs (2 Tbsp ground flax plus 4-6 Tbsp warm water), or an egg replacer (I like using Bob’s Red Mill, but Ener-G works well, too). Hope that helps! can you use gluten free flour? almond flour? Yes, you can use all-purpose gluten-free flour. I haven’t tried almond flour. Hi Maria! Quick question – is there a reason you prefer to use a 9×5 baking pan for your banana bread (by the way, I made a loaf over the weekend and wow. I’m pretty sure I’ve found my go-to banana bread recipe. Thanks!) but a smaller baking pan for your pumpkin bread? Thank you! 2 and 1/4 teaspoons instead of the separate individual spices? 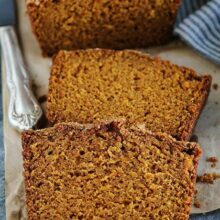 I’ve tried a number of different recipes for pumpkin bread, and this one is my absolute FAVORITE! Made it this morning and less than 4 hours later it’s almost gone. Great tasting and easy! Ha! It never lasts long at our house either! In New Zealand we don’t have canned pumpkin. Can I just convert this listed amount to pumpkin I roast/cook and mash up myself? Taste great. But the bread didn’t rise. It’s less then 2” thick. Not sure what I may have done wrong.